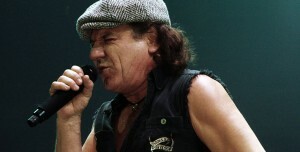 AC/DC fans please note: ALL DATES on Brian Johnson’s Full Throttle Tour have been cancelled. The official line is that the cancellations are necessary in order to schedule medical work on Brian’s wrist immediately following his drive in the Daytona 24 Hour race in January 2012. If you have bought tickets to a cancelled show, please contact the venues concerned for a refund. 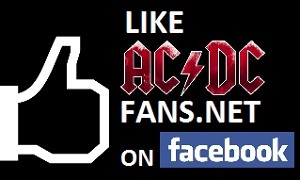 ACDCfans.net will bring you further updates as they come to hand. Johnson’s mini-tour, dubbed “Rockers & Rollers – A Full Throttle Evening of Stories and Music with Brian Johnson of AC/DC,” will recount stories from his book and feature guest appearances by two of his mates from Skid Row – guitarist Scotti Hill and bass player Rachel Bolan. Multimedia presentations and lighting will add visual spectacle to the AC/DC singer’s stories – put together by Cosmo Wilson who worked with AC/DC on their recent record-breaking Black Ice World Tour. Released in May, “Rockers And Rollers: A Full Throttle Memoir” chronicles Johnson’s love affair with all things mechanical – from his teenage fumblings in the back seats of beat up cars to a successful side-career as a vintage racecar driver – all told in Brian’s inimitable style. If you haven’t read Brian’s book, grab it now! Check with the venues for tickets and start times. Stay tuned to ACDCfans.net for more dates as they are announced.